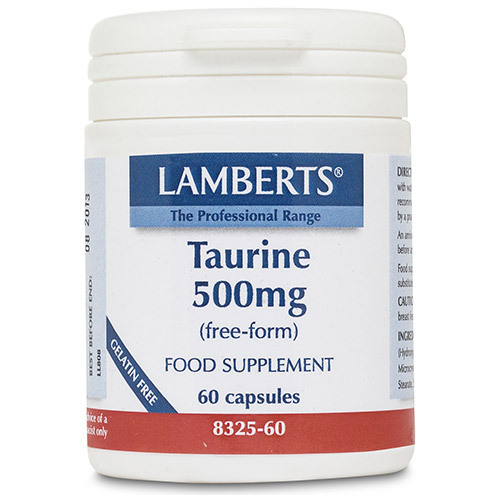 Taurine is one of the lessor known sulphur amino acids, and can be synthesised by the body from cysteine as long as vitamin B6 is present. It plays a variety of roles in the normal functioning of the brain, heart, gallbladder, eyes and vascular system. Taurine has many diverse biological functions, serving as a neurotransmitter in the brain, a stabiliser of cell membranes and a facilitator in the transport of ions such as sodium, potassium, calcium and magnesium. Taurine, after GABA, is the second most important inhibitory neurotransmitter in the brain. The gallbladder utilises taurine for the formation of taurocholic acid, one of the two primary bile acids necessary for the breakdown of fats in the small intestine. Taurine is also involved with bilirubin and cholesterol excretion in bile. 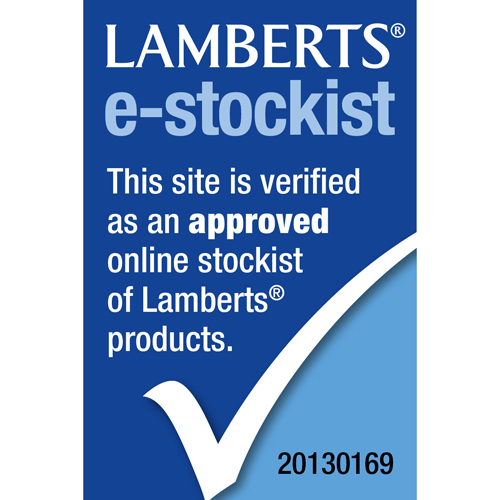 LAMBERTS Taurine is a pure, free-form amino acid that is ready to be absorbed by the body without needing to be broken down by digestive enzymes. Each capsule provides a full 500mg of Taurine. 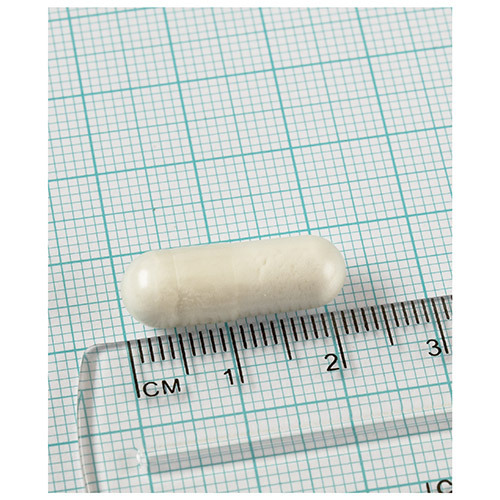 Capsule Shell (hypromellose), Microcrystalline Cellulose,Magnesium Stearate, Silicon Dioxide. Take 1 to 3 capsules daily. It is preferable to take Amino Acids with fruit juice or water, rather than milk. L-Theanine is not thought to be addictive and does not cause drowsiness. Below are reviews of LAMBERTS Taurine - 60 x 500mg Capsules by bodykind customers. If you have tried this product we'd love to hear what you think so please leave a review.